Home What Do You Think? What Do You Think? Ferdinand E. Marcos, the 10th president of the Philippines (December 30, 1965 to February 25, 1986), died in exile on September 28, 1989 in Honolulu. In 1993, then-president Fidel V. Ramos, who headed the Philippine Constabulary under President Marcos, allowed the Marcos family to fly his remains to Batac, Ilocos Norte, where it remained on display. 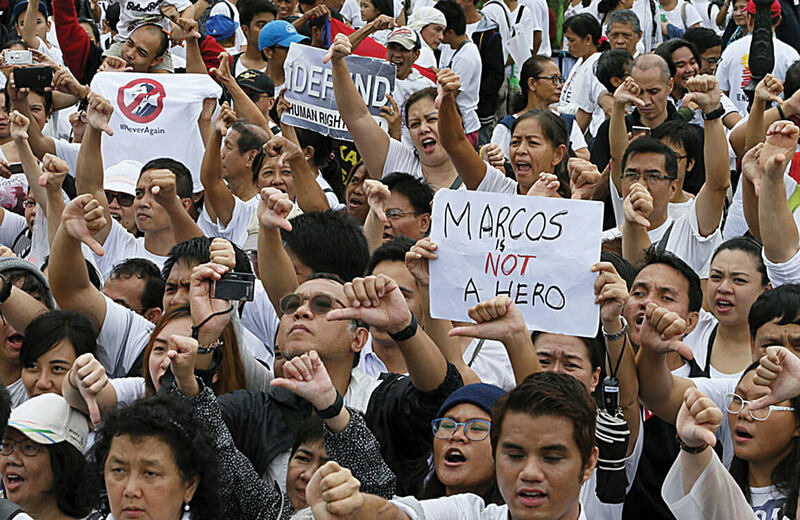 During his campaign for president, Rodrigo Duterte promised the Marcos family he would allow President Marcos to be buried at the Libingan ng mga Bayani (Heroes Cemetery) in Taguig, Philippines. 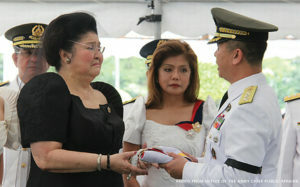 On August 7, 2016, President Duterte issued the order to allow Marcos’ burial. 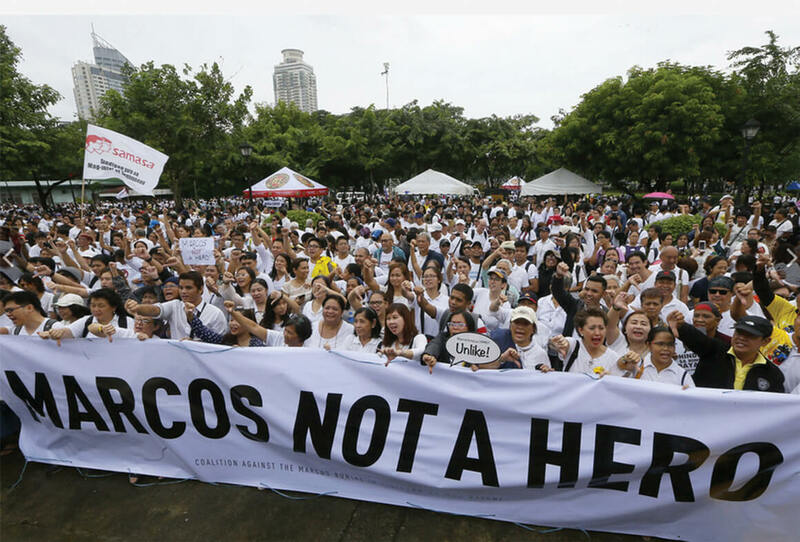 After a delay, on November 8, 2016, the Philippines Supreme Court, by a vote of 9–5 with one inhibition, dismissed seven petitions filed that sought to prevent the burial of President Marcos. President Marcos was buried on November 18, 2016. Hundreds protested with this large banner on August 14, 2016 at Rizal Park. 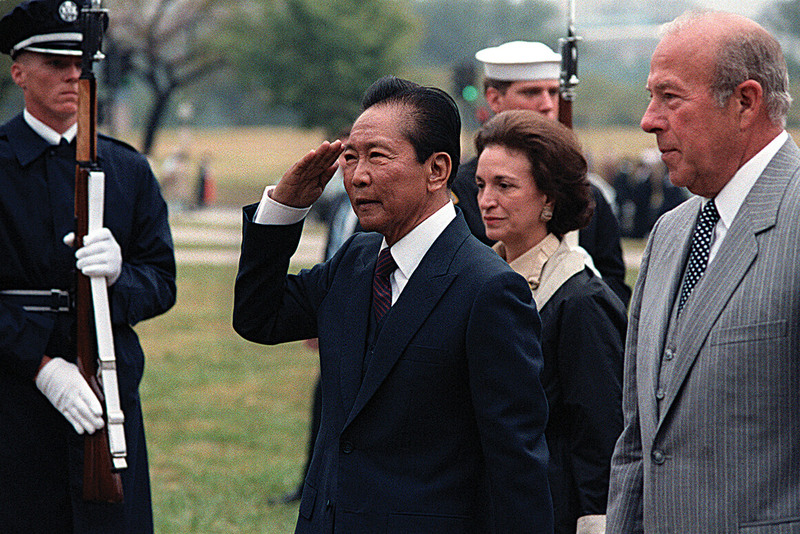 Current Philippine President Rodrigo Duterte would not be moved, having ordered the burial of the late former President Ferdinand Marcos at the Libingan ng mga Bayani. Protesters that day give a clear and unified “ thumbs down” with regard to President Rody Duterte’s decision. Romeo, 54 years old, lives in Wailuku with roots in Sinait, Ilocos Sur. “I agree that he should be buried in the Libingan ng mga Bayani. Because in his term, I knew it was a long term, but look at the results of the administrations after him. Do you have any improvements? No. I think he deserved to be buried there. With his accomplishments during his term although at the end there is a lot of controversy but the thing is they’re only accusing him. There is no proof that he was doing the wrong thing. It is so sad he passed away before he could prove he didn’t do those things.